30 Fabulous Star Gifts of the Week at Boots! Don’t Miss These! 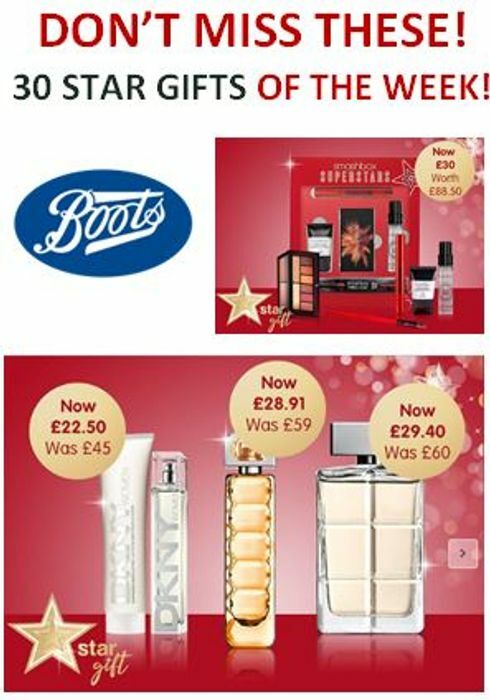 There's lots of new Star Gifts of the Week at Boots right now, most at half price. Don't miss these fab deals! We have 2,875 Boots deals and 182 Boots discount codes on Latest Deals.